Polymer clay is a versatile, man-made medium that’s easy and safe to work with, regardless of age. You can use polymer clay to make popular polymer clay jewelry, one-of-a-kind cell phone charms, or to dress up plain terra cotta flower pots. This affordable clay is available both online and at craft stores. You can buy a small set of small tools made for working with polymer clay inexpensively. If you don't want to buy tools, you also can use household items, such as silverware, mini-screwdrivers and toothpicks to shape the clay. Polymer clay comes in every color of the rainbow, as well as metallic and glitter-infused varieties for those who like a bit of glam. 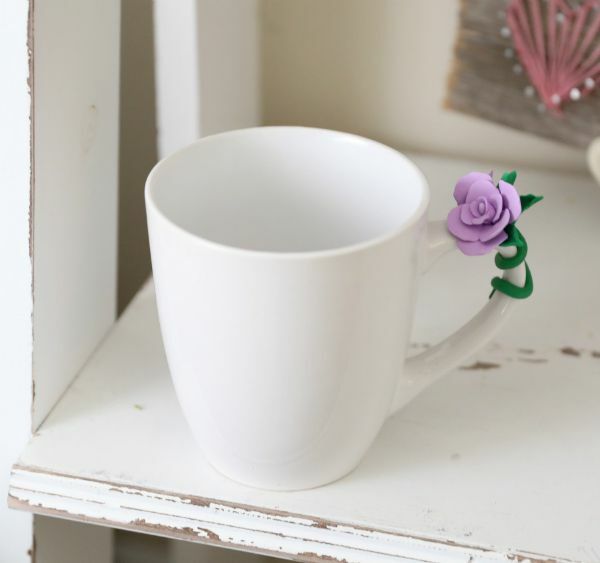 This project consists of a plain ceramic mug decorated with polymer clay flowers and a vine to make a much-appreciated gift. 1. Break off a small piece of clay. 2. Pinch off a smaller piece of clay in a different shade, but within the same color family as the first piece. 3. Blend colors and form into a melon-sized ball. 4. 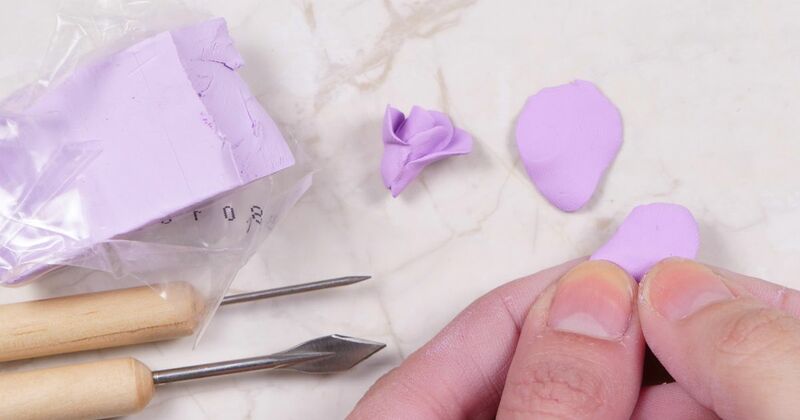 Remove a small piece of clay and roll into a small, tubular shape. This will form the center of the rose, which will be surrounded by individual, layered petals. 5. Flatten five small pieces of clay into oval shapes. These will be the first petals. 6. Envelop the rose’s center with these pieces and situate them so that they overlap a bit and flare out slightly at the top of the flower’s center stem. Pinch the pieces in at the stem’s bottom. 7. Fashion five more small circles and layer them, still overlapping, around the others. 8. Repeat steps 1 through 7 to craft a second, smaller flower. 9. Unwrap a piece of green polymer clay and hand-roll four small balls. 10. With fingers, mold the clay into four leaves - two large and two small. 11. To fashion a vine, roll a small chunk of green clay between your hands to form a long, snake-like length of clay; wind it around the upper half of the mug handle. Make sure the top end rests on the uppermost flat portion of the mug handle. 12. Using a small clay knife tool or cutlery handle, place one leafy flower on the vine’s upper end, at the top of the mug handle. 13. Fuse the larger flower and stem together with the tool, smoothing the clay’s surface so the flower and vine become one piece. 14. Attach the second smaller flower next to the larger one, also atop the stem. 15. Place the mug on a foil-lined baking sheet and bake, according to the directions from the clay manufacturer. Enjoy your beautiful polymer clay flower mug. Please SHARE on Facebook. Be on the lookout for antique window frames. Click to learn about all the ways you can transform them into home decor.